With a high adoption in technology, we’re all using technology and marketing in new ways that are getting all of us noticed. Selibeng Forum seeks to explore innovative tactics that are disrupting the internet and showcase how these can help every single one of us to participate in the digital space. 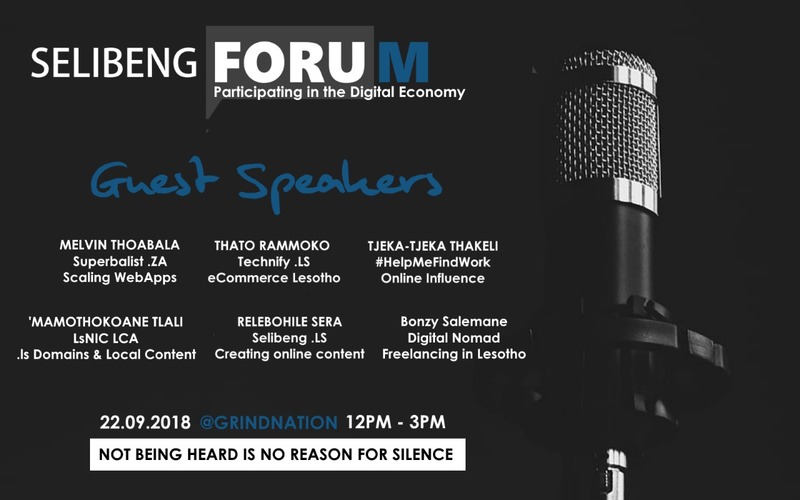 The Forum will be held at GrindNation, Industrial Area, Maseru on Saturday, 22 September 2018. The session will run from 12pm to 3pm. Entrance is FREE! Our goal is to bring the local community to give them inspiration in partaking in the digital economy and how they can best do it. If you’re a blogger, freelancer, developer, writer, photographer, technologist enthusiast, digital marketer or just have an interest in exploring the digital economy, this is specifically for you. Digital economy simply translates into conducting business through markets based on the internet and the World Wide Web. Taking the inspiration from the most creative innovators and thought leaders who have used the internet to achieve success, this session will provide the blueprint for charging ahead and being actively involved as an active player in this digital era. Melvin is a technologist passionate about robust software. He is a software engineer at superbalist.com, Cape-Town. He works in checkout and fulfilment tasks which include implementing integrations to various payment methods, integrating with couriers, creating transactional and everything that helps great customer experience during checkout, also work with internal systems that help in customer support. ‘Mamothokoane is the Manager at Lesotho Network Information Centre (LsNIC), the country’s top level domain (ccTLD) registry of dot ls (.ls). LsNIC is founded by Lesotho Communications Authority (L.C.A.). The ccTLD is a critical national resource. It gives the country much control and freedom on how the ccTLD is operated to benefit the nation it serves. With the massive adoption of Internet, domain name registration has become one of the most dynamic industries, and having everything in our control as the country, will benefit to have up to date policies, rules and procedures. Bonzy is a digital product designer and a creative strategist with a background in marketing and systems design. He’s an empathic, ‘people’-person who is optimistic, resourceful and doesn’t give up easily. He uses design, development and marketing skills to help clients design, launch and manage digital products, services and strategies that give them a competitive edge. As the founder and product manager of AfriGrid – and through his experience as a freelancer – Bonzy has acquired an array of skills and over 10 years of experience. Trer is a Tech Entrepreneur and Co-Founder of Technify. Technify is a Tech Startup that offers IT & Digital skills training, Support Services and Incubation. The company offers skills training workshops for students, entrepreneurs and professionals every 2nd Saturday of every month. Technify also offers IT support services to SMMEs and Incubation to IT and Digital ventures. Tjeka Tjeka is a young Mosotho lawyer who was bred and raised in the outskirts of Lekokoaneng. After bearing the calamitous brunt of unemployment in the aftermath of his graduation from law school in 2015, and having suffered myriad atrocities which include arrest and three-day pretrial incarceration in his unremitting quests to earn a living, Thakeli finally resorted to use social media to find a job. His #HelpMeFindWork, though it was initially a personal outcry for help, became a national phenomenon and has since translated into an initiative that raises awareness on the predicament of unemployment. Thakeli has risen to fame and has earned himself a title of one of Lesotho’s most instrumental social media and online influencers. Relebohile Sera is a Blogger and Content Manager at selibeng.com. She holds a Bachelor of Commerce in Accounting from the National University of Lesotho and is a Professional Career Coach from IAP Career College. Her mission in life is to help people be successful in their careers and to provide coaching for those seeking a new career direction. 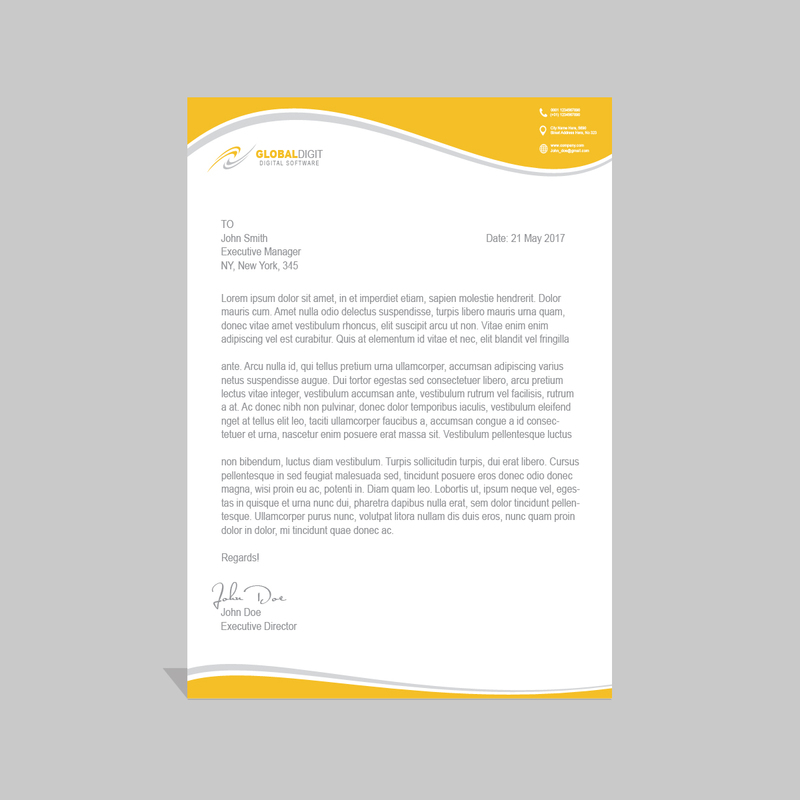 Relebohile has been instrumental in the development of website content for Selibeng.com. Working as a Content Manager, she mainly edits and manages content submissions from various writers. Hope to see you there! For questions, email: hello[at]selibeng[dot]com or call: 59986161 / 62986161.